Don’t miss out on this chance for international exposure? The fantastic TV show Colour in Your Life is now filming in seven countries around the world and are aired on TV stations in thirteen different countries. We are currently negotiating with TV companies in UAE and India to have the show screen on their TV stations and the possibility of setting up new film crews in these countries. Our audience is growing exponentially. Our YouTube Subcribers are close to 90,000 and our Facebook followers are close to 60,000!! We can have you in front of all these millions of art loving people, not just today, but forever! AND we want to film you! 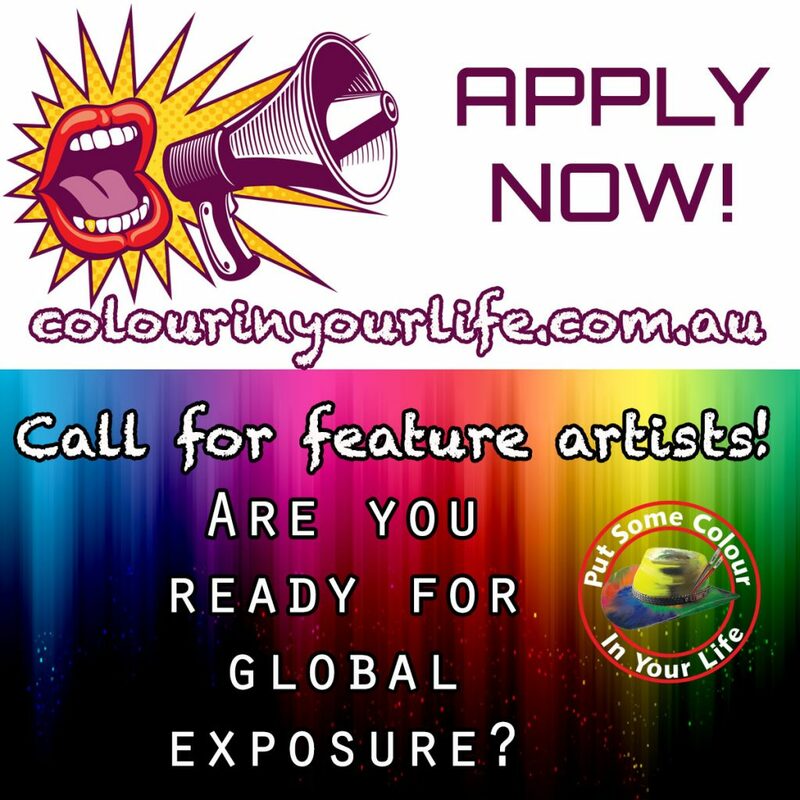 Submissions are now being accepted from visual artists in mediums including painting, drawing, mixed media, glass, collage, sculpture and others to feature on the TV show Colour in Your Life. Louise Foletta has already received over 7,000 YouTube views in less than a week . Now is the time when we should be discussing your options for 2019. Let’s chat on the phone about the benefits of being on Colour in Your Life and how you can make sure you are ready. I have had over 35 years as a professional artist and have filmed hundreds of artists for our TV series. I have seen lives change. I have facilitated huge success stories. Let me make yours the next one. Please send me your phone number and I’ll give you a ring over the next few weeks. Have you subscribed to our YouTube channel? Catch a new Colour in Your Life show every Friday. Subscribe now.